Our new and very centrally located apartment house Suites MITTE is the ideal starting point for your stay in the city at the foot of the Wartburg Castle. Turn into the quiet side street, drive into the courtyard and conveniently park your car right behind your holiday apartment. Eisenach – the center of Germany. And right in the middle of it: Suites MITTE. From here, it is easy to explore the many opportunities the city has to offer on foot; or to start trips into the surrounding country. Bakeries, cafes or restaurants in the immediate vicinity offer great food. The shopping mile, supermarkets and service providers are only two minutes away and many of Eisenach’s sights, as well as Karlsplatz and Markt squares are also within walking distance. You can find relaxation in the close-by city park and in the magnificent Kartausgarten Park. For kids, there is an indoor climbing facility just around the corner or one of the many playgrounds. Suites MITTE is also the ideal starting point for city tours, for exploring the villa district and for bicycle tours or hikes on the famous Rennsteig trail. You can enjoy a quiet stay right in the middle of our lively and friendly city and also enjoy short distances. 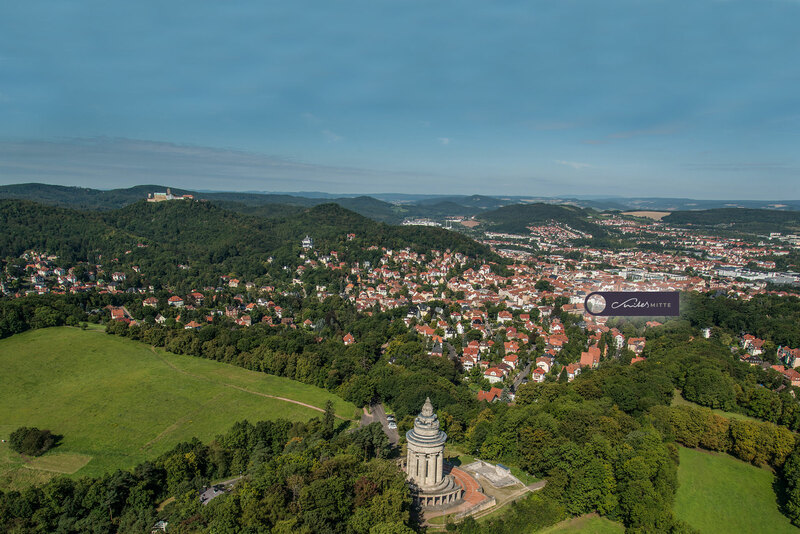 With its geographical location, Eisenach is the perfect starting point for day trips into the Thuringian Forest with the Rennsteig trail or the Inselsberg mountain, to the classic cities of Gotha, Erfurt and Weimar or to many other attractive destinations in this beautiful region.